An essential guide for every kind of Divorce with or without an attorney. 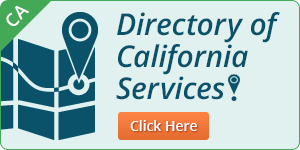 If you’re involved with a divorce in California—any stage of any kind of divorce—How to Do Your Own Divorce is a book you really must have. Studies show that the single most important factor in a good divorce outcome is becoming informed and prepared, and being an active participant in your own case. That’s what it means to do your own divorce. This book puts you in charge of your own case and your own life. In clear, simple language, my book explains things you need to know and I give you practical advice and guidance about the decisions you must make and about the laws that will affect you. I explain how California law defines property and debts and how they are divided, how spousal support is determined, and how custody and visitation for minor children will be determined if you end up in court. It answers all kinds of practical questions that most people have about getting divorced. I also show you how to make a settlement agreement so that you and your Ex get all issues decided the way you want, rather than leaving it up to some stranger (the judge) who does not know you or your family and who doesn’t really have much time to learn about you or your case. How to Do Your Own Divorce includes worksheets that will help you organize your facts and your thinking. And, if you decide you want help, I explain how to find and choose the right kind of help for whatever it is you might need. Finally, this book is a complete kit for an uncontested case. It includes the forms you need to file your Petition and get your Judgment, with step-by-step instructions. If you don’t want to do the paperwork yourself, my book helps you find a professional to do the paperwork for you and it enables you to supervise their work. How to Do Your Own Divorce has been a famous best-seller since 1971—over 40 years! It has helped millions of Californians save billions of dollars, so I know it will help you. In fact, I guarantee it! 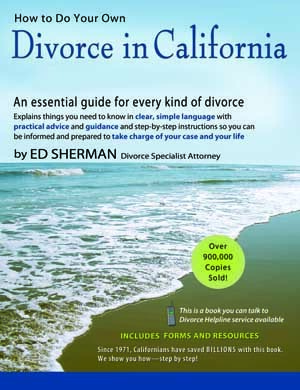 Millions have successfully done their divorces using this book. So can you. This famous best-seller tells you about the things you need to think about and things you need to do if you are considering a divorce. It gives you information and advice to help with the decisions you must make. 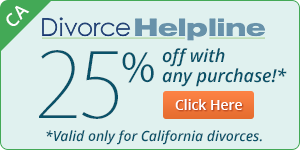 It shows you exactly how to do your own divorce and provides the forms you will need to do it. This is the book that launched Nolo Press and the self-help law movement in 1971. This PDF eBook has hundreds of internal and Internet links that greatly increase the book's usefulness and eBook owners get 50% off on book and package deals, including some that add legal assistance. A real bargain! It works very well on 10 in. tablets, laptops or desktops; acceptable on 7 in. tablets. You not only saved me several thousand dollars but also saved me a lot of pain and concern because I had the knowledge I needed to handle the divorce process. My divorce would not have been nearly as easy without your book. Several attorneys I consulted were not optimistic about the results they could get but I did it all my self and everything worked out infinitely better. You saved my life ....and my wife's also. I really admire you and I am very impressed with the quality of work you do. I work for a law firm, so I should know! I want to report that I acheived my desired outcome completely ...I am now where I wanted to be and completely satisfied. Your approach is excellent. I was able to get the job done for a tiny fraction of what the costs might have been. Your advice was right on the nose. I feel that this kind of legal assistance is invaluable ...You really threw me a lifeline when I felt I was sinking.